My Monday obsession.. A sporty spring style. 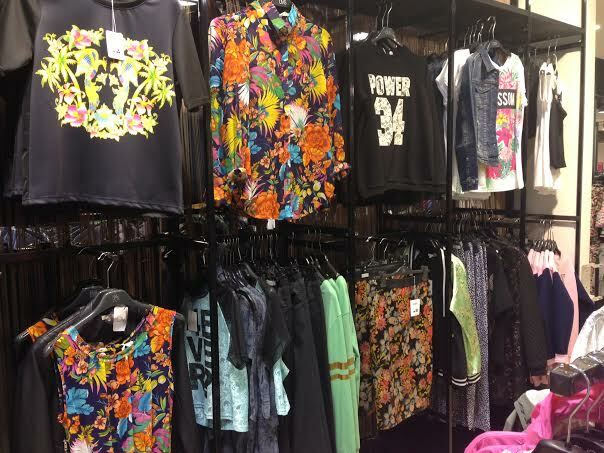 Boutique in Italy displaying bold floral prints and numbered jersey inspired tops. Just in time for the NBA and NHL playoffs!! A 2014 spring fashion trend perfect for fun in the sun and cheering on your team. Whether you splurge on Karl Lagerfeld or save by shopping in a local boutique, these numbered jersey tops are team neutral. ROC this flirty top with denim shorts or as a part of your beach/pool style. I love this look because I am a sports lover but a girly girl at the same time, so the feminine touch with floral prints is right up my alley. Below are my favorite tops after browsing the internet. I might just have to go back to this little boutique and purchase my own style! Beyonce in sleeveless jersey top. Maki Oh runway Spring 2014 includes the sporty look in the new line. Karl Lagerfeld’s 2013 SS line included this girly jersey. One of many pieces in this collection.. Yes, he beat everyone to the look!